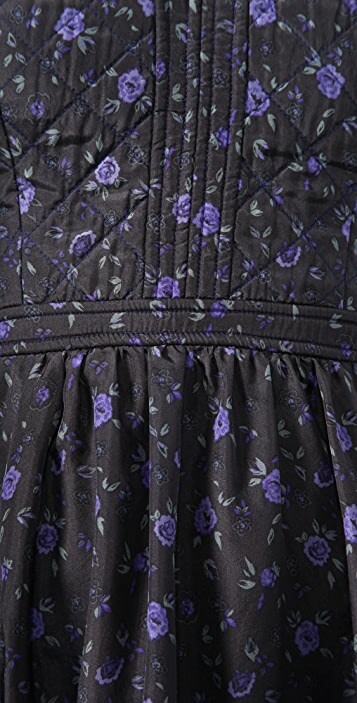 This strapless floral silk dress features quilting and boning at the bodice. Sweetheart neckline and ruched waist. Slouchy welt pockets, pleats, and darting at hip. Exposed zip and smocked elastic panels at back. Lined. This dress is beautifully made, but just is not right for me. It was too big in the top because the quilting and stretchy back made the dress top heavy and impossible to keep up. If a smaller size was available, I may have ordered it and loved the dress.